When former Raffles Girls' School (RGS) student Sinead Tan went to fashion school two years ago, she felt like she had plunged into a different Singapore where people had vastly different concerns. As the 21-year-old listened to her new classmates at Lasalle College of the Arts - most of whom were polytechnic graduates - talk about applying for bursaries, she realised that many did not speak English at home, unlike her old friends, or were juggling part-time jobs while studying. Ms Tan, whose father is a company director and mother is a housewife, says: "At RGS, most of us had the luxury of spending our holidays doing internships or going on vacation, and concentrating on our studies during the semester." If not for her decision to study fashion, she says, her orbit of friends would be those much like her - products of elite schools, English-speaking, middle-class. Ms Tan's experience helps illustrate the import of some key findings of an Institute of Policy Studies (IPS) survey on social capital released last month. The first study of its kind here, it interviewed about 3,000 Singapore citizens and permanent residents, whose answers suggest that the sharpest social divide in Singapore is now based on class, rather than race or religion. It found that people who live in public housing have, on average, about one friend or fewer who lives in private housing. Those who study in elite schools also have far fewer links to those in non-elite schools, and vice versa. This is troubling, said the study's researchers, because it suggests that Singapore is increasingly stratified along class lines: People are hanging out with "their own kind" along the lines of where they go to school and what kind of homes they live in. If such trends are not fixed, more and more Singaporeans - while existing on the same island - would be living in separate bubbles based on their socio-economic status. This, in turn, will lead to a fractured society. Say the researchers: "Having a diverse network (whether on race, religion or status) increases the variety and richness of one's experiences and knowledge beyond one's own group, and this facilitates thinking in national terms, rather than narrowly in terms of only one's own group and its interests." The trio of researchers are National University of Singapore (NUS) sociologists Vincent Chua and Tan Ern Ser, and IPS deputy director Gillian Koh. Associate Professor Chua puts it thus to Insight: "What starts as a person-to-person relationship leads to benefiting the larger society. We build a society, one tie at a time." While urging individuals to do their bit, the researchers say the Government and community leaders need to do more to encourage social mixing. On Wednesday, Minister for Culture, Community and Youth Grace Fu said during a press conference that the Government is concerned about the lack of diversity in schools and housing estates. However, she added, it is not "alarmed" as Singaporeans are mixing through sports, arts, volunteerism and at the workplace. But are they really doing so? Insight spoke to 40 people with different educational and housing backgrounds, most of whom agreed with IPS findings. The schools that people attend play a big role in the friends they make, going by the experiences of 20 students and working adults. Undergraduate Toh Sing Ru, 24, says most of his close friends are from his previous school, Millennia Institute, which offers a three-year A-level programme. "We helped one another with our studies, we knew we were the underdogs in the JC system and our common purpose was to do better at the A levels." Students do not interact much across schools, say those interviewed. There are yearly co-curricular activity (CCA) competitions or camps, but they do not have much lasting impact. Says Mr Ryan Wee, 17, whose friends are from his schools, Catholic High School and Eunoia Junior College: "It's a matter of circumstance. I don't think people make friends or shun people because they are from certain types of schools." Some do see their social circles widen later in JCs or polytechnics, and certainly when they enter university or start work. For instance, Pasir Ris Crest Secondary alumnus Soh Wei Yang met his first friend from what people would describe as a popular school - Anglo-Chinese School (Independent) - in Nanyang Polytechnic. "He was friendly and we were able to click quite fast due to common interests like pool, gaming and going for midnight supper," says the 22-year-old. Mr Martin Ho, 57, an engineer and ACS alumnus, says: "Of course there are the old buddies from ACS, but I also know people from everywhere, like clients and colleagues. "Everyone has something interesting to share and knowing a variety of people makes your experiences fuller, and you won't be so stuck up in your thinking." But by and large, those interviewed say most of their friends are those they made during their formative years in school. NUS and Hwa Chong Institution alumnus Chris Chia says: "I met other people during NS but outside of army, we lead quite separate lives and there's quite little to talk about." "You can't possibly maintain so many friendships. In a way, you select the people most like you because they have a similar experiences," adds the 26-year-old headhunter whose friends are largely from JC and university. Insight also found that public and private housing residents generally keep their social circles within familiar territory. This is even though planners have designed estates such that HDB blocks, condominium homes and landed property can nestle up against one another and share the same town centre and public amenities. For instance, in Singapore's affluent neighbourhood, Bukit Timah, there are 2,555 HDB flats housing 8,400 residents. They make up about 12 per cent of the estate's population. But one resident who lives in a private home in Bukit Timah says she finds it difficult to get to know those in public housing, and that it is easier to befriend those from a similar social class. 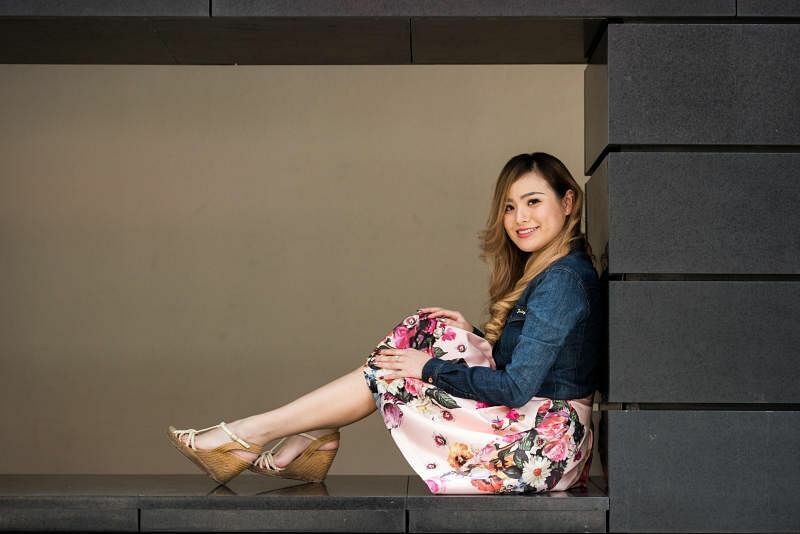 "Many people are put off when they find out that you live in a big house and judge you based on stereotypes," says Madam Alice Leong, 32, who is unemployed. "If I were to throw a house party, I would find it easier to invite my immediate neighbours," she admits. Arts educator Kamini Ramachandran, 48, who lives in a terraced house in Kovan, says it is the norm among her wealthier friends in Bukit Timah to remain in their bubble of similarly wealthy friends. They "attend elite schools, study overseas, live in private homes and end up marrying someone of similar status. The cycle continues with their next generation because they enrol their children in their alma mater, due to familiarity and proximity of the schools to their Bukit Timah bungalows". Residents in private condominiums say there is little need to head to public swimming pools or gyms when their properties already have such facilities. This is why financial adviser Goh Teng Sing, in his 40s, who lives in a condominium in Marine Parade, believes it takes an active effort to to meet people from a different social class. But he says not many people "see the value of a diverse social network" to spare that time and energy in the first place. He spends several hours a week playing football with secondary school friends at East Coast Park. Over the years, this group has "snowballed" in size and diversity, with an 80:20 mix of HDB dwellers to private residents. Says Mr Goh: "It doesn't matter whether we are rich or poor, we can count on one another when we need help or when we have problems." To break down those metaphorical fences between those living in public and private homes, the Government has tried to create opportunities for social mixing. In June 1998, the People's Association (PA) formed Neighbourhood Committees (NCs) within private estates to promote active citizenry and neighbourliness. These function similarly to the Residents' Committees (RCs) in HDB zones. There are 206 Neighbourhood Committees today around the island's private estates, up from 150 in 2015. Joint activities for both groups are organised. Over the last five years, between 17 and 20 per cent of participants in PA and grassroots programmes live in private estates, says a PA spokesman. This proportion mirrors the national breakdown of 20 per cent who live in private property. Anecdotally though, public housing residents seem to be far more enthusiastic than private home residents in taking part in grassroots activities. West Coast Park Neighbourhood Committee chairman Prakash Kumar Hetamsaria, 51, says NCs and RCs do organise large-scale joint events, such as National Day celebrations or Chinese New Year dinners, but they often see a much larger turnout from HDB residents. One challenge is down to access. Ms Joan Pereira, an MP for Tanjong Pagar GRC and Government Parliamentary Committee (GPC) member for Culture, Community and Youth, says it is harder to reach out to private estate dwellers as their gated communities create a "barrier" between residents and grassroots leaders. By contrast, RC centres can be set up easily in HDB estates, and public corridors allow direct reach of residents, she adds. Another factor is that wealthier residents are simply "busier". Tampines Changkat Community Centre assistant secretary Abdul Rashid, 64, a grassroots volunteer since 1984, says: "(Wealthier residents) say they have less time to spare, so as volunteers our approach must be more persuasive, explaining our programmes in a way that makes them feel welcome to join the rest of the community." With some patient persuasion, he says some end up joining their ranks as grassroots volunteers. "Their participation is invaluable as they bring a lot of institutional expertise since some have made their mark as business leaders." Sports is another rallying point. A 2015 study by national sports agency Sport Singapore showed that 85 per cent of respondents felt that sports bring people together despite their different backgrounds. Recognising this, the Government has long ensured that there are affordable options. Joining sports clubs at the community centres is free, and those looking for more professional training now have more affordable programmes too. Since 2016, ActiveSG, the national movement for sports, offers subsidised training for budding athletes across 10 clubs and academies such as those for football, basketball and tennis. The aim is to have 25 such clubs and academies by 2021. Mr Lai Chin Kwang, chief of ActiveSG, notes: "Sport has universal appeal across cultures and identities because we are all designed to move and play. It is part of our human DNA." One question, though, is whether people across the class divide are playing on the same field. For instance, there has always been some level of social stratification by sport. The traditional stereotypes are: Tennis and golf are a rich man's game; swimming and hockey are the preserve of the middle class; while basketball and badminton are played by the working class. For instance, the ActiveSG Football Academy has more than 1,100 participants, 60 per cent of whom live in HDB flats, while the rest are from private homes. But even for football, there are public fields - and then there are private clubs. Can you name someone you can confide in, chat casually with, or trust with important matters? These queries in a 13-page questionnaire led 3,000 Singaporeans and permanent residents to list an average of 5.8 names of people in their social networks. Then, researchers delved into the details, asking respondents about the age, race, religion, nationality, socio-economic level and educational background of their friends. Called the "name generator" approach, the study by three National University of Singapore sociologists - Institute of Policy Studies deputy director Gillian Koh, Associate Professor Tan Ern Ser and Associate Professor Vincent Chua - concluded that people from elite and non-elite schools, and residents in public and private housing, are not mixing. The study was supported by the Ministry of Culture, Community and Youth, and was intended to look into how Singaporeans' social networks can affect national identity and pride, as well as trust in others - indicators of social capital. It did not address how people these days usually think of social networking as using social media outlets such as Facebook. But some netizens were left with lingering questions over the validity of the result, with several asking why researchers left it up to the respondents to determine whether a school is elite or not. The researchers tell Insight they did so to let the study capture people's subjective perceptions, rather than referring to any pre-conceived list of schools considered elite. Says Prof Tan: "Subjective doesn't mean that it is not scientific. What people define as real is real to them. "That perception colours the way you interact with people or make decisions, so it's very real even though it's subjective." Some also asked why such an approach was taken, instead of directly asking whether the respondents have ties with someone different from them. Using a name generator is a standard approach used by sociologists in studying communities, says Prof Chua. "(It) is more tedious to conduct, is more intrusive and has a tendency to create respondent fatigue," he says, while also noting that it allows researchers to detect nuances in social ties, including whether these are weak or strong. 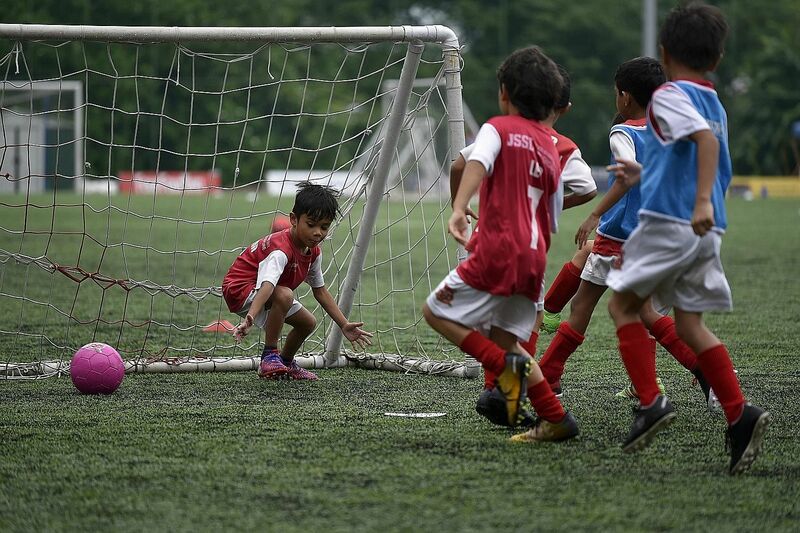 In recent years, there has been the rise of premier groups such as FCBEscola Soccer School and JSSL Singapore, which tend to attract expatriates and a growing number of Singaporeans, notes school football coach Yahya Madon. There are as many as 15 such schools here which can charge around $900 for close to 30 sessions. By contrast, the ActiveSG Football Academy charges $130 for the same number of lessons. "The coach-to-player ratio tends to be smaller for these private academies, and the players may get closer attention," says Mr Yahya. Mr Harvey Davis, JSSL Singapore's managing director, says its trainees come from "all kinds of backgrounds". About half are Singaporeans and the rest are expatriates, he says. He did not say what are the backgrounds of the Singaporeans. Mr Henry Kwek, who is on the GPC for Culture, Community and Youth, says that once a sport becomes popular in Singapore, it will be made accessible to the public. "It's everyone's prerogative to decide where they want to play a sport and how much they want to spend on it," adds the Nee Soon GRC MP. "But at least there is a deliberate effort to make sure that public facilities as well as the teaching of sports are accessible and affordable to all." Volunteering is another way for people from various walks of life to share a common goal. Those living in private homes are more likely to volunteer than public housing residents, based on a 2016 survey by the National Volunteer and Philanthropy Centre (NVPC). Around 55 per cent of respondents living in condominiums and 57 per cent of landed home owners said yes when asked if they had volunteered for a social cause, compared with 43 per cent of respondents in five-room HDB flats, 26 per cent for four-room HDB flats and 24 per cent for one-to three-room HDB flats. However, while participation has been encouraging across the board, volunteers say there is a perception that it is still difficult to get others to stay involved. There is a difference between one-off participation and a continual commitment. The latter is how lasting friendships are formed among volunteers or between volunteer and beneficiary, says Madam Lorinne Kon, 52, a volunteer at Prison Fellowship Singapore (see next page). "Volunteer work takes a lot of active effort and sacrifice, so that it can be something sustained and not just superficial," she adds. Youth Corps Singapore volunteer Muhammad Afzal Abdul Hadi, 22, says his pool of friends has increased due to volunteer work, though there are many volunteers who "come and go" due to other commitments. To devote more time to volunteering, he left his business course in the Singapore Institute of Management. He is now thinking about furthering his studies in social work. In November 2016, the Ministry of Culture, Community and Youth (MCCY) launched national movement SG Cares to promote volunteerism and civic culture. Led by NVPC and the National Council of Social Service, the movement is also cited by the MCCY as one of its key means to promote mixing across different social classes. NVPC chief executive Melissa Kwee says the action of volunteering and philanthropy is one that brings volunteers together for purposes greater than themselves, allowing them to see past their differences in income or education level. It's a matter of circumstance. I don't think people make friends or shun people because they are from certain types of schools. MR RYAN WEE, whose friends are from his schools, Catholic High School and Eunoia Junior College. It takes leadership "to be willing to confront and overcome the inconveniences" of volunteering, she adds. She also set up Beautiful People, whose volunteers befriend at-risk youth and provide a listening ear to their problems. "I see in many volunteers a greater appreciation for life. Before volunteering with me at Beautiful People, many had never known anyone who had experienced abuse, neglect and trauma," she says. The ramifications of the IPS findings are even more worrying, when one considers how top schools are already attracting a disproportionate number of students from more well-off families. In 2013, Prime Minister Lee Hsien Loong expressed concern about such schools becoming "closed circles" for a select crowd. NUS sociologist Chua Beng Huat believes the "elite" status of certain schools is institutionalised during Primary 1 admission, causing social capital to be accumulated and passed on across generations. Many people are put off when they find out that you live in a big house and judge you based on stereotypes. If I were to throw a house party, I would find it easier to invite my immediate neighbours. Removing these policies "would improve cross-class interaction at an early age, but there is no guarantee that such friendships will endure beyond school days", he says. The Ministry of Education has taken some steps to address this by making changes to admission rules. Since 2014, all primary schools are required to keep at least 40 places for children with no connections to the school, such as a sibling or parent who is an alumnus. From next year, one-fifth of places in secondary schools that are affiliated to primary schools will be set aside for students who do not benefit from affiliation priority. These moves are in the right direction, but it is not easy to reach a consensus about what is the ideal level of student diversity in schools, says National Institute of Education Associate Professor Jason Tan. Allocating primary school places by proximity may make pragmatic sense but it also means that popular schools in the Bukit Timah belt tend to draw pupils from more privileged homes, he adds. "The converse would be true for a school located in a poorer neighbourhood. Residential areas differ in socio-economic composition, so there is a difference in the profile of students schools attract." He says schools themselves must also play their part in raising awareness among students "that society is diverse and comprises people who are different from you". "Through CCAs, outreach initiatives and inter-school collaboration, for instance, you can only hope that this awareness of others that starts in school convinces young people of the importance of having a social network across a spectrum of backgrounds." Other programmes include Youth Corps Singapore run by the National Youth Council. A new Ministry of Education-Outward Bound Singapore programme for all Secondary 3 students provides youth of different backgrounds with "opportunities for meaningful engagement and deepening of social bonds", its spokesman says. Dr Koh says people - from both private and public housing - must think creatively to design regular programmes around shared social concerns and interests, for instance, a volunteering initiative at eldercare facilities, inter-club sports tournaments, or playgroups for children with special needs. "You can benefit by pooling time and resources in mutual self-help. Public or private resident, the distinction can be erased when a community rediscovers how much they have in common," she adds. Similarly, Ms Kwee suggests that "elite schools, with their beautiful campuses" could be co-located with social services, such as daycare centres, nursing homes, or special schools. But some say that even as the state seeks to social engineer to mitigate against such trends, programmes must avoid coming off as condescending. Ms Pereira, citing a recent grassroots programme where private estate dwellers and rental flat residents were paired to enjoy movies together, observes that while their interactions were positive, they could be perceived as uneven as "it was in the context of giver and receiver rather than as equals". It is a continual effort for NCs and RCs to find the right type of activity for people from different backgrounds to interact meaningfully, says Ms Pereira. For these bonds to occur naturally, NUS' Dr Tan says these activities must be collaborative and geared towards a mutual goal. He cites social work, in which volunteers strive towards a common cause, as a way for people to work together in a non-hierarchical fashion. A PA spokesman refers to another example of Community Emergency Response Team volunteers opening up their estate's private amenities, such as swimming pools, to allow other volunteers to practise life-saving skills together. Three private condominiums in Jurong - Lakeside Grove, Lakeholmz and Caspian - have done this since 2014, and PA intends to reach out to more this year. Dr Lim Wee Kiak, chairman of the GPC for Culture, Community and Youth, says as government agencies attempt to widen the "melting pots" of schools, community organisations and neighbourhood interactions, no policy is a panacea to the issue of social divide. "Much depends on a conscious effort of every Singaporean to be willing to reach out. It takes two hands to clap," he says. Correction note: An earlier version of this story misspelt Mr Harvey Davis' name. We are sorry for the error.